I'm using QGIS 2.18.16 and notice that every time I open a project I sit and wait while it pre-loads composers. Is there any way to turn off the pre-loading of composers? 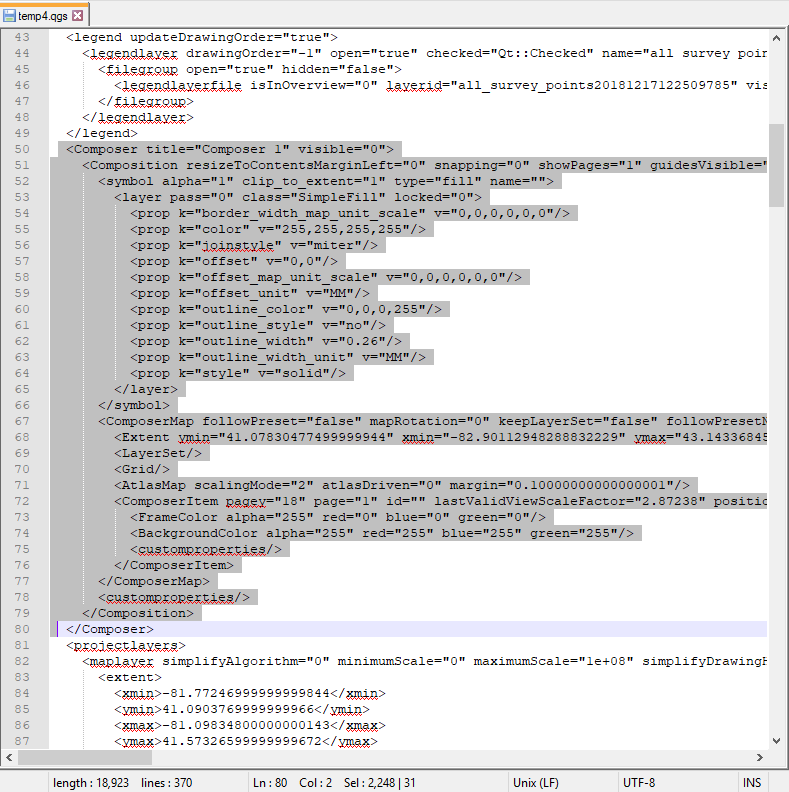 There's quite often when all I need to do is open the model to check something quickly, it takes longer to load the composers than it does for me to find the information I needed. It would be nice to simply load composers as-needed, not by bulk pre-load. Upgrade to 3.x - print layouts aren't preloaded in version 3. Create a copy of the .qgs file for the project you want to open. Open the copy in a text editor, such as Notepad++. Use ctrl-F to search for "composer". Select and delete the entire print composer section (from <Composer title= to </Composer>). Save changes and close the text editor. Open in QGIS, and the project will load without print composers. If you want to make changes to the project, cut out the print composer section of code and save it elsewhere. After making and saving the changes in QGIS, paste the print composer code back into the project file. Be sure to make a back up copy before you attempt this. Not the answer you're looking for? Browse other questions tagged qgis print-composer or ask your own question. QGIS suddenly very slow generating atlas on PC? Can I export all print composers at the same time?